Consider the following.... Why Murph........why? *This post is for someone whom contacted me with specific concerns regarding lizard ownership. 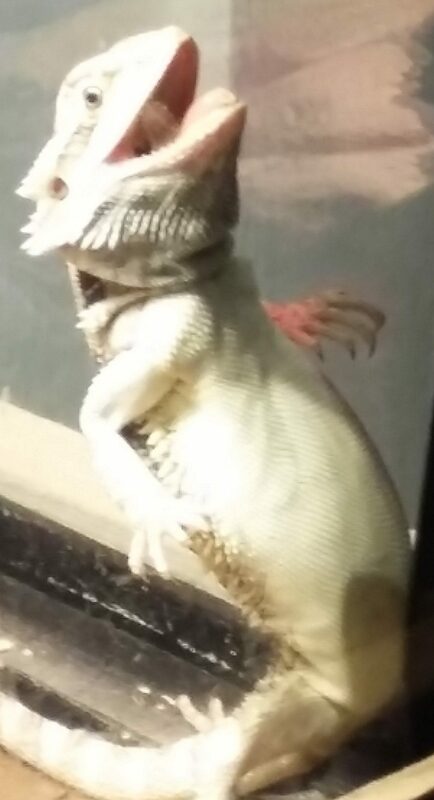 I hope it helps my friend and others (and lizards somewhere) too.♥ 1) Does Lil' Murph make you smile? 2) Maybe another type of lizard makes you smile every time you see that species... (this… Continue reading Will Lizard Companionship Be A Joyous Happening In Your Home? (Eeek...look at his toes!) This is one of a few special occasions of the calendar of which I will participate in some fashion. Lil' Murph prefers I not do this, but he was a trooper! I felt bad but the cuteness had a powerful strangle hold on me, and nearly him. I gave him extra… Continue reading Why Mom, why? !